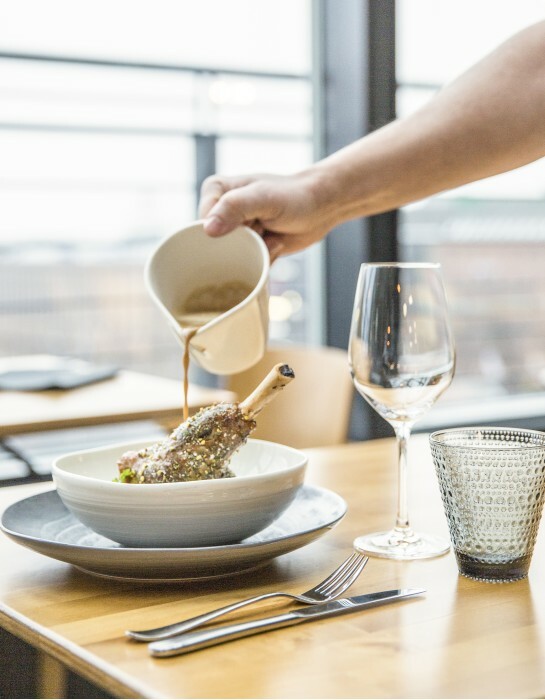 You can make a reservation in The Dining Room or in The Chefs Bar..
For lunch You have the option of ordering 1, 2 & 3 courses from our lunchmenu. For dinner You may order from the A la Carte or order the "Chefs Menu". All dishes are available both in The Dining Room and The Chefs Bar. Please note that Your reservation is for 2,5hours for dinner.